Annual Conference News: ABQAURP offices closed for the 42nd Annual Health Care Quality & Patient Safety Conference! After nearly a year of preparation, our 2019 annual conference has finally arrived. Due to staff travel and the conference demands, ABQAURP's office will be closed beginning Wednesday, April 24 and will reopen on Monday, April 29 at 7:00 AM EDT. 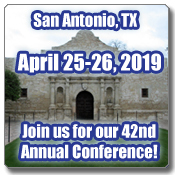 If you're attending the conference, here is a pre-conference message with important information: Click HERE for schedule and link to syllabus. If you aren't able to travel to San Antonio, watch for the online course to be released later in the year! If you have an emergent situation and need to contact us while we are away, please email abqaurp@abqaurp.org and we will make every effort to assist. If you need login information, please make sure to utilize the "forgot username" and "forgot password" links to reset. ABQAURP brings health care quality and management to the forefront by providing the highest standard of education, information and resources to its members. ABQAURP is not just an association, it's a community of doctors, nurses and other health care professionals who practice health care quality and management and apply what they learn to tomorrow's innovations. ABQAURP's members are proactive and visible in their commitment to health care quality and management because they understand the consequences if they don't - medical errors, unnecessary services and expenses, and potentially harmful delays in care. 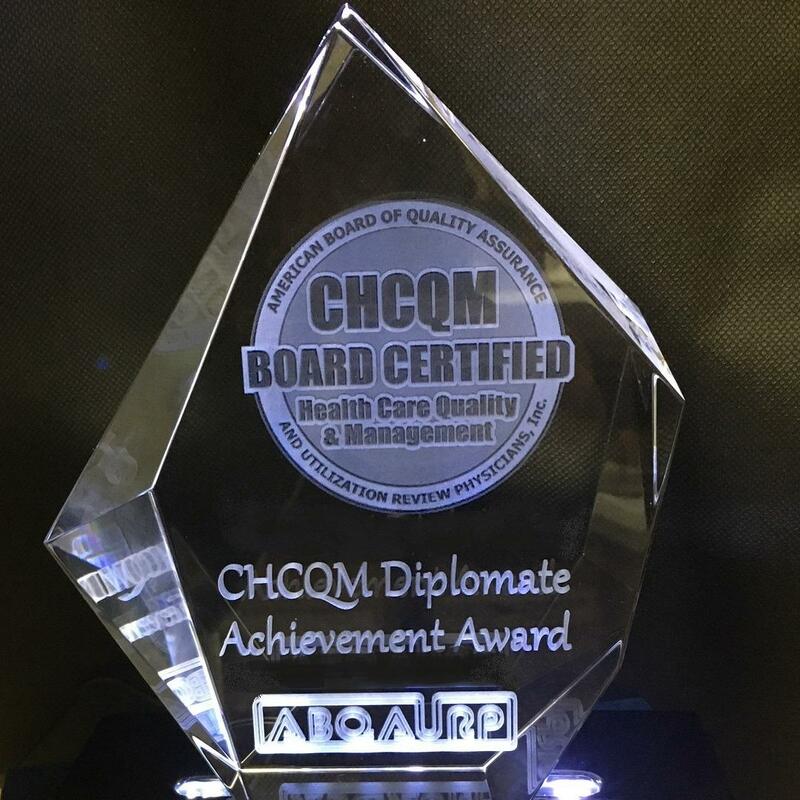 ABQAURP Diplomates gain personal and professional satisfaction from demonstrating that they've achieved a high level of expertise and knowledge with the HCQM Board Certification. ABQAURP translates information into the everyday tools, thought-provoking discussion, and resources you need to stay ahead of health care quality and management. ABQAURP would like to congratulate Dr. Tess Kryspin Lombard, Chief Medical Officer, StayWell Health Center in Waterbury, CT for her award winning submission. A sincere "Thank You" to all of the Diplomate CHCQM Award Submissions. HCQM Certification is the premier advanced professional certification specifically designed to measure your specialized training and skills that drive better, safer, and more productive care decisions and actions! Now Taking Applications for the 2019 HCQM Exam! Register by June 25, 2019 to sit for the 2019 exam! 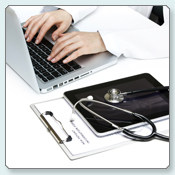 New Online Education - Patient Safety Certificate Course! A brand new, 12-hour multi-media online course is now available for all health care professionals. 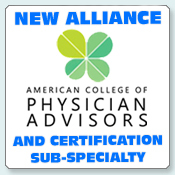 ABQAURP and ACPA aligned to offer the first Physician Advisor sub-specialty for the HCQM certification. 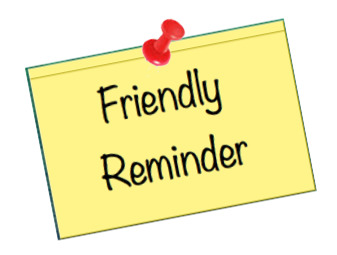 Annual Fees are due each year by January 1st! 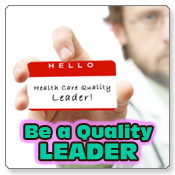 Thank you for your membership and your contributions to improve the quality of care provided to patients! Join as a Professional Member today to support our shared mission to improve the quality of care provided to patients!